We currantly have 4 Chihuahuas for placement. 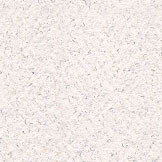 Below are their photos and a brief discription. For more information please see our Contact Us page. 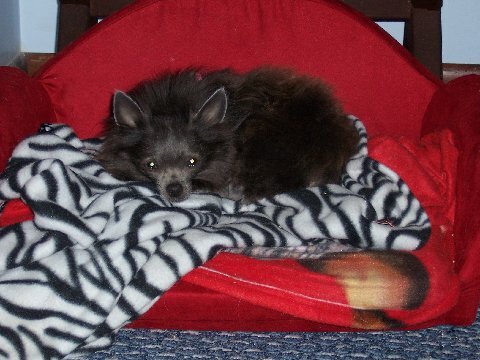 This is Blue,, she is an 8 year old spayed female. She likes other Chihuahaus, and people. Loves to be carried and wants to sleep in bed with her new owner. Blue is deaf. 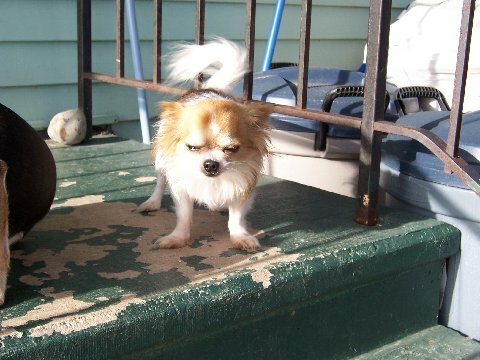 She does know some hand gestures, she is not housebroken, (most chi's in rescue are not). But if someone can look beyond the deafness and the little tootsie roll presents left on the floor, she'd really love you in return. 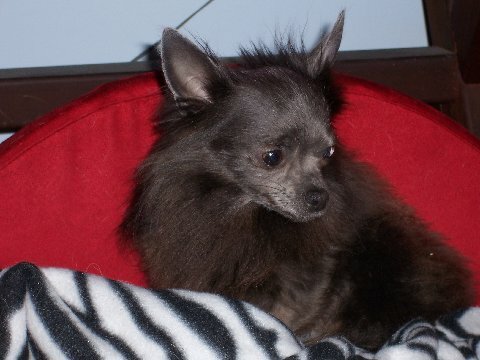 This is Princess,, she is a 4 yr old long coat, spayed Chihuahua female. She is very very loving but was born with a neurological defect. She has problems getting up stairs and ALWAYS falls down them. She also has some trouble standing on tile flooring, she needs help jumping up and will most like to be carried all over. She will go outside to use the bathroom, but like most rescue Chihuahuas she is not fully housebroken. She does not require medical care, only a person willing to spend alot of love and time with her. 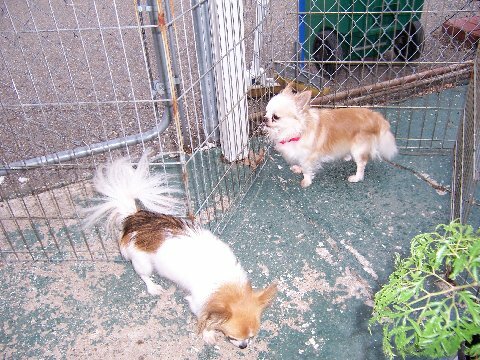 This is Trixie,, she is about 2 or 3 years old, short coat female Chihuahua (who will be placed on spay agreement). Trixie likes people whom she becomes familar with, and once she picks an owner becomes very protective. She does alright with one or maybe two Chihuahus but larger groups will not work, she is an Alpha dog. 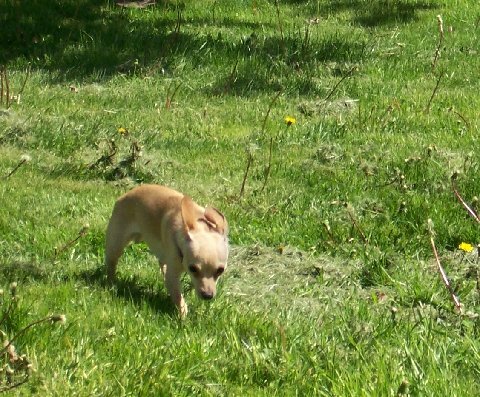 She needs to be placed in a no other dog or only one other Chihuahua home. We do not know as of yet how she does with children or how her housetraining has progressed. Please contact us for more information. This is Precious (or the old lady) she is a 13 yr old short coat Chihuahua female, she had ocular cancer and was treated, her eye has been removed. 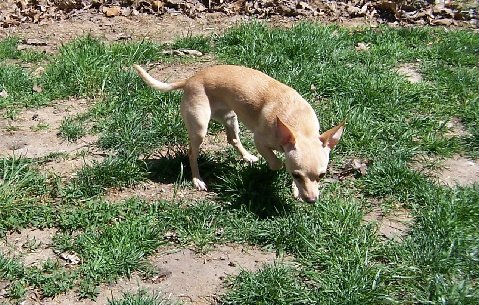 She is a very standoffish Chihuahua and it takes time for her to feel at home and pick a person to love. 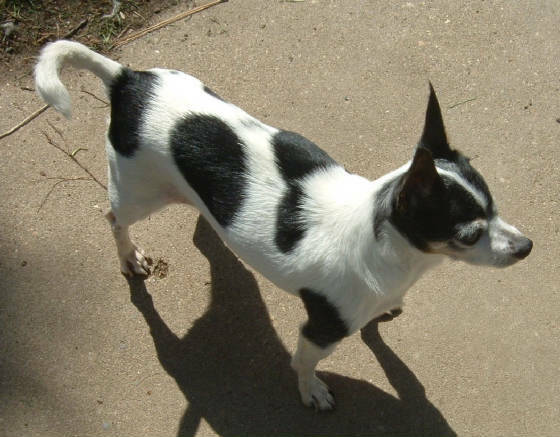 She still has a great many years left to live and needs to find a home where she can be a spoiled only Chi. She needs to be placed with someone who understands it will take time for her to bond.